We take great pride on our work, a fact recognised by many of our customers. A selection of testimonials are printed below. Delighted with the installation and support. Quick, efficient, curteous service at an anti-social hour (11pm on a Sunday night). We had already contacted two other Oxford Security companies prior to using Bans Intruder and Fire Systems. The reason we chose Bans was that Harbans was down to earth and did not want to charge us for wiring that was already in place to make our alarm workable again. Value for money and efficient and friendly. We are completely satisfied with your service - thank you. Excellent, professional service and systems, thank you. A very professional service from start to finish and great attention to detail, very trustworthy and neat and tidy too. "Our aim is 100% satisfaction, first time, every time." I thoroughly recommend BANS. Professional, courteous and knowledgeable. Thanks for your help. 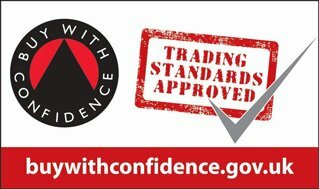 We have used Bans security for our showroom and vehicle workshop and on both occasions the service was second to none. Bans high level of customer support and personal service could not be achieved by larger companies. We would recommend Bans to anyone. It is rare to come across someone who is so friendly, efficient and professional in every aspect of his work. The resulting system is excellent, very neatly installed, and very reasonably priced. Dealing with Mr Banta has been a most satisfactory and enjoyable experience. I was very impressed with your prompt, efficient and friendly service and have already recommended Bans to a friend. Thank You! Bans always provides excellent and personal service. On call day and night which I find invaluable. Bans have been maintaining our intruder system for a number of years. Recently the building was extended and it was decided to extend the intruder system and install a fire alarm system. Bans designed and installed the systems. This required a number of visits at various stages of construction. Bans liaised brilliantly with the builders and worked flexible hours so as not to hold up construction. A number of operational issues were resolved very promptly and we are delighted with the work Bans carried out. Bans was personally recommended to me from a colleague at work, and I must say I have been extremely happy with the service received.. From the initial survey, and technical explanation, BANS fully appreciated my needs. The engineer turned up when I was told they would, all wiring was very carefully concealed and all areas left completely clean and tidy. I would have no hesitation in recommending BANS to my friends and family - and I am very grateful for that initial recommendation. An excellent service. Extremely happy with the service we received from Bans. The engineers turned up when we were told they would, and the customer service we received was excellent. I would have no problem recommending BANS to others. The workmanship is superb and attention to detail phenomenal. You were cheerful, polite, informative and left every area completely clean and tidy. Your positive attitude (nothing was a problem) made the whole experience totally stress free and it was a pleasure to have you in our home. We would have no hesitation in recommending you to family, friends and acquaintances. Bans went out of his way to advise and install us with a very professional home Intruder Alarm System. We now have the piece of mind that our house is secure. 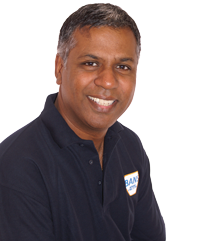 Thanks Bans, we would recommend your company to anyone. Bans originally installed our intruder alarm under a new build contract. The care, attention to detail and professionalism show by Bans during the installation gave us no hesitation in appointing them to maintain our fire alarm system as well. Bans are terrific. Everything they did was superb. The installation was just perfect minimal disruption and wiring cleverly concealed. The after sales service is superb. Bans knows his stuff and looks after his customers. In my experience of dealing with Bans. I have found him to be very thorough and patient with his explanations. He provides a friendly professional service with great after care. I have always found him to be very helpful. Highly recommended! 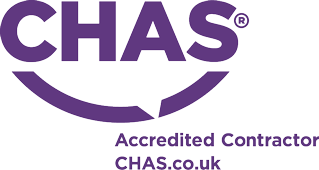 An extremely efficient and friendly service - Bans is always willing to go that extra mile! Very quick, friendly & helpful Thank you! We have used Bans for the past year and have found the levels of customer service to be exceptional. There is always an informed and friendly person available to help, and problems are resolved quickly and efficiently. We would definitely recommend this service to others. We recently chose Bans security to alarm our new warehouse facility. The level of service and assistance in choosing the correct system has been first class. The installation was prompt, fast and made with minimal disruption allowing us to continue to work whilst the engineers completed their work. The ongoing support has been always friendly and helpful and we would not hesitate in recommending Bans security to others. Fantastic service throughout installation and beyond, one of the nicest guys to do business with would recommend without a doubt. After sales service has been great. Great personal service, Bans went out of his way to ensure we were happy with our alarm. First rate thank you. Bans are the ideal alarm company. Flexible for maintenance appointments and efficient, effective and quick for problems, strongly recommend them. We are extremely satisfied with the alarm system you have installed for us. The service you have provided to both home and business has always been excellent. Very competitively priced thank you. 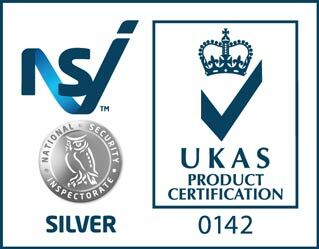 I found the service from Bans Intruder And Fire Systems to be professionally efficient and friendly. Bans himself is extremely helpful. A first class and friendly service recommended. 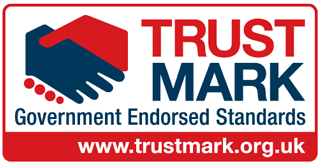 I have been very impressed with the friendly and helpful service, together with the quality of workmanship. Bans offers good value for money. Recent upgrade carried out very efficiently. Bans has always responded quickly to issues. I was so impressed I had him install a similar system in my daughter’s house.